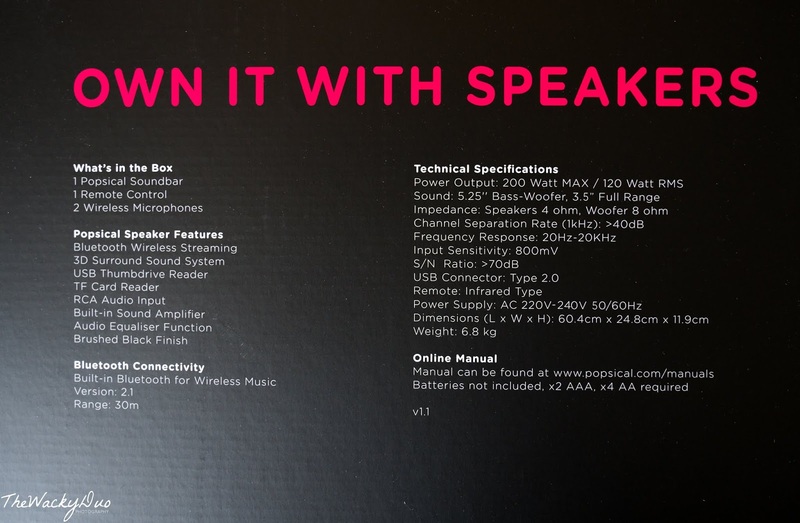 Want to own your very own Karaoke Machine? Remember the times when you head to Karaoke centers and belt your hearts out with the latest English pop songs and Chinese love songs? If you are a child of the 80s or 90s, going to a karaoke chain for a date is a common pastime for couples or groups. Back then, if you own a Karaoke system at home, you will be the toast of the town. After all, not many can afford to purchase a set of karaoke mixer, monitor, speakers,amplifier , wireless microphone and a ton of laser discs to set up a home system. 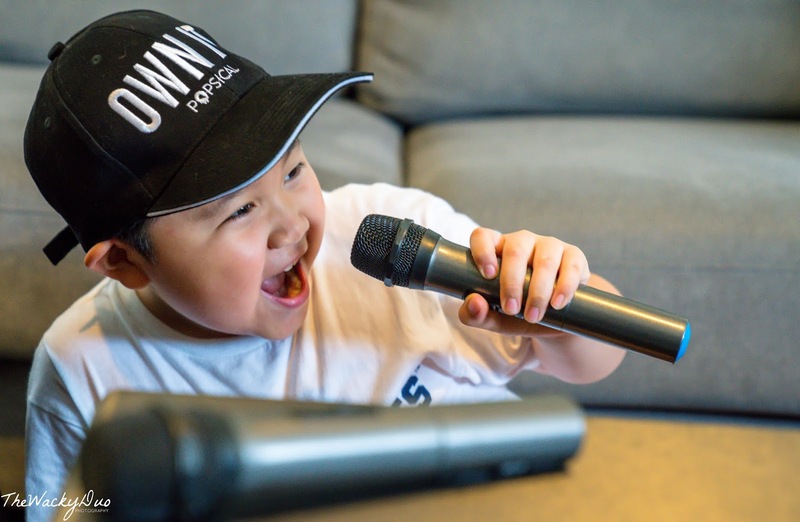 Fast forward 2018, karaoke still retains its old school charm and remains a favourite activity for groups. Today, technology had made it much more easier to own a Karaoke System. 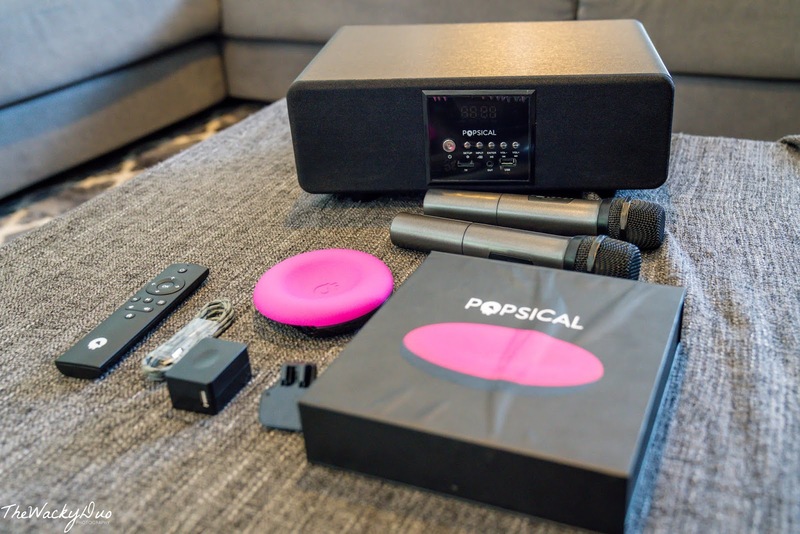 With Singapore's homegrown Popsical Karaoke system, you would now have access to thousands of songs at the touch of the remote. 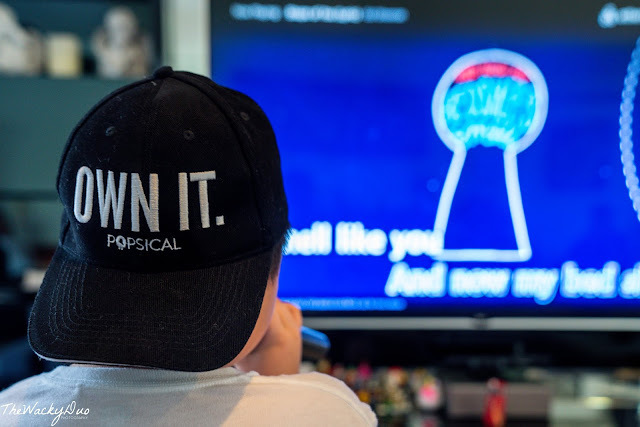 With a foot print no bigger than a storybook, having a karaoke party in the comfort of your own home has never been easier. Just how big is the Popsical? Open your palm ... that would be the estimated size of the Popsical. The Popsical comes with remote control, USB C cable and power adapter. Connect it to your HDTV via HDMI (sold separately) , log on via wireless or wired connection and you are good to go. Say goodbye to the bulky Karaoke system. With over 120, 0000 songs to choose from and daily updates to the cloud library, you would be spoilt for choice on your song choice. Furthermore, all these songs are cloud based and available almost instantaneously. I used wireless set up for the system and there was no buffering of the songs... simply amazing! With today's technology, controlling system via an App is the way to go. Popsical remains on the forefront with a friendly to use app. Search for songs using tracks titles or artists name. 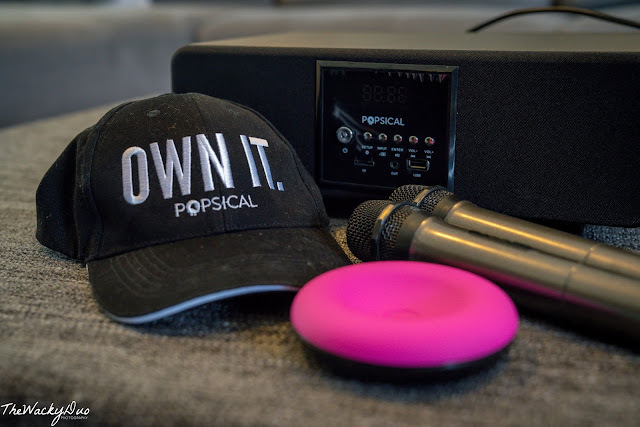 Paired it with your Popsical and you could create a playlist within minutes. Connect with multiple devices at the same time and everyone can add their own songs on the playlist. 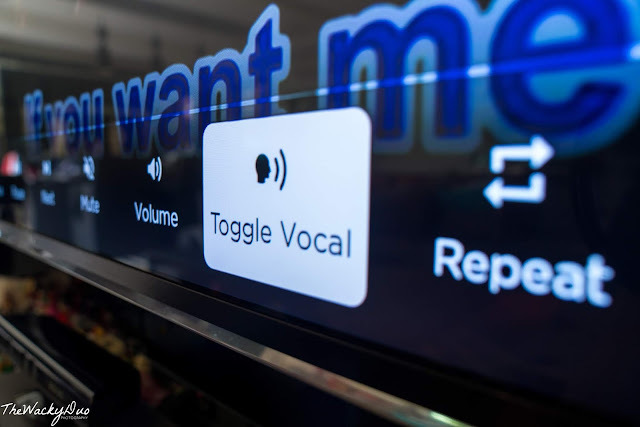 It is much simpler to add the songs from the app than using the remote. 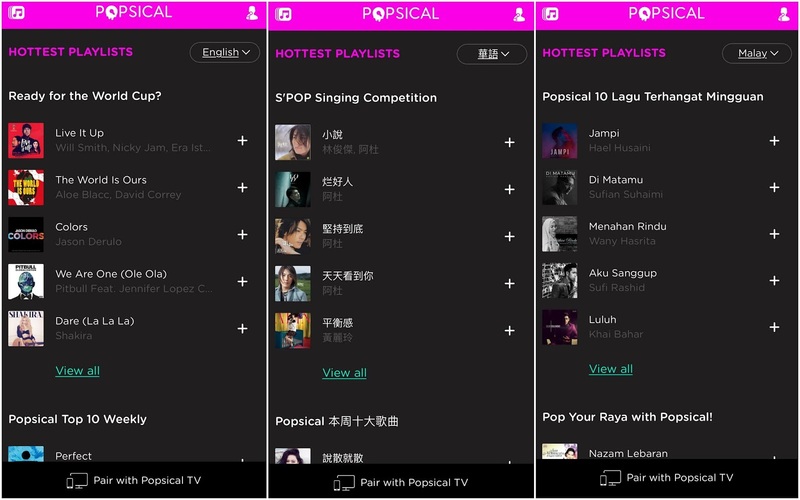 In addition, it is easier to search via the app, especially when Popsical has a massive song library that comes in 14 different languages. The songs contents are licensed from RIMSS and COMPASS. These two companies represent all the content produced by the recording companies and artists, guaranteeing genuine songs on the playlist. Do note that not all songs are in HD, so quality of karaoke tracks are subjective to the provider. Still can't find your song? Suggest to Popsical via the app and it may be added on a later date! 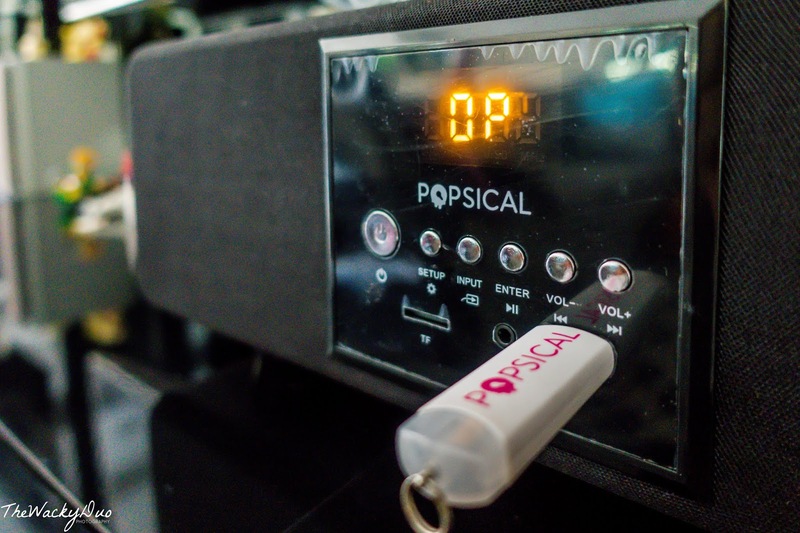 The Popsical unit is only a device that controls the songs. 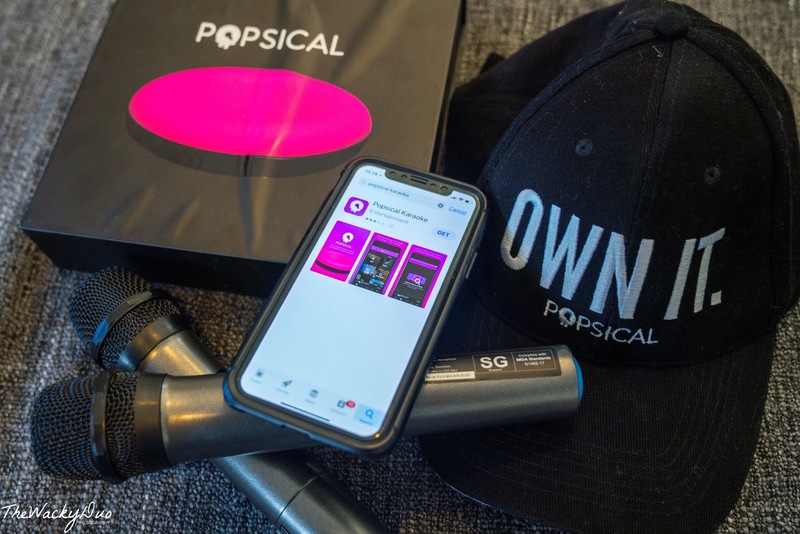 To fully enjoy the experience, get the Popsical bundle that comes with everything you need for a full karaoke experience. The bundle comes with the Popsical, the Popsical sound system, 2 wireless microphones, a set of remote control, USB C Cable and power adapters. 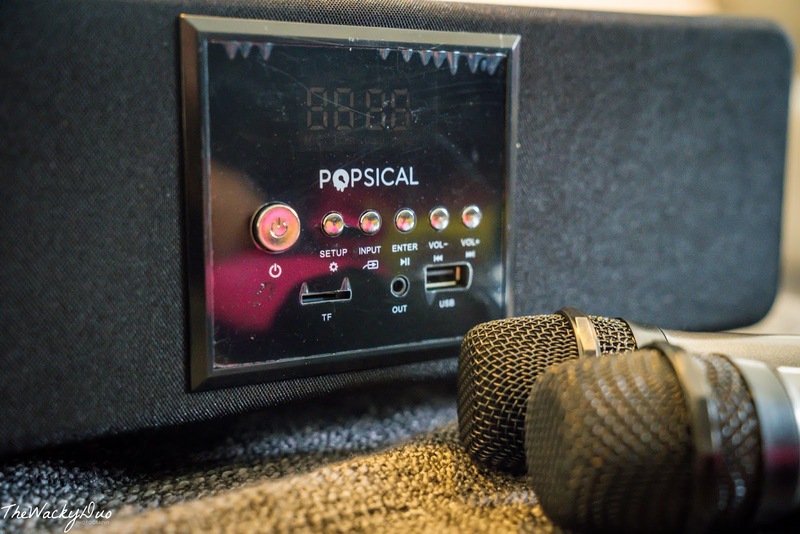 The Popsical Sound has a build in amplifier that is perfect for Karaoke. 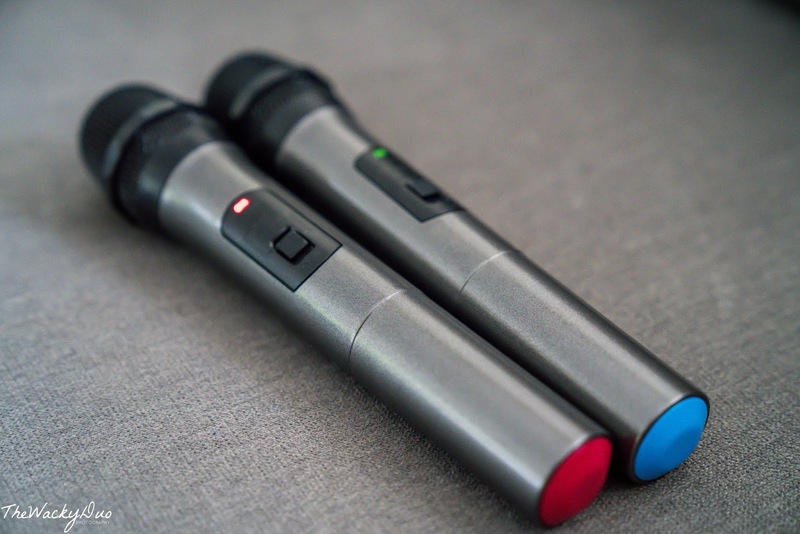 Microphones comes in 2 different colour codes and connected wirelessly via Bluetooth. 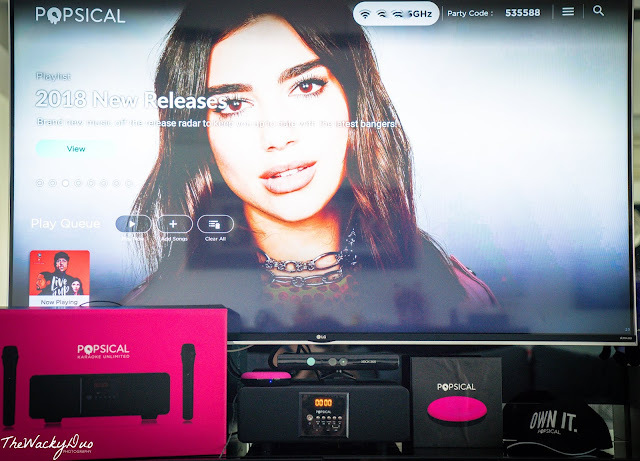 Separate remote controls are available for the Popsical and the Popsical sound system. 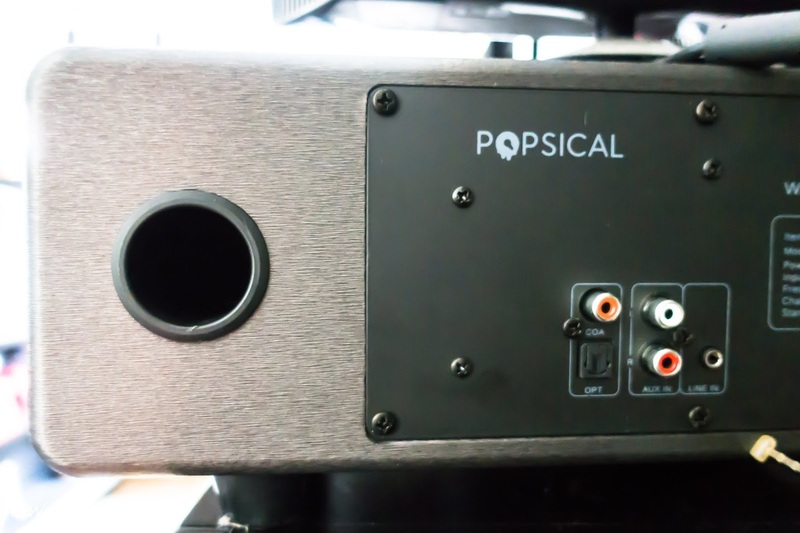 If you do not have a sound system, the Popsical Sound could also be used as part of your home sound system. Link it up via RCA AUX, co-axial, optical or 3.5mm inputs. With a power output of 200W, it will provide enough oomph for your use. The Bundle is under promotion and cost S$399 ( Usual $499)* At this price point, it is only $150 more than the original Popsical. We think it is a steal at this price. If you do not have a microphone sound system, you should get this to complete the Popsical experience. A Karaoke system means more than just plug in the microphone and sing. The Popsical allows you toggle vocal, adjust speed and pitch. A full system in a tiny unit. Think you have the chops to make it as a star? Now you can record your own vocals with a USB storage device. 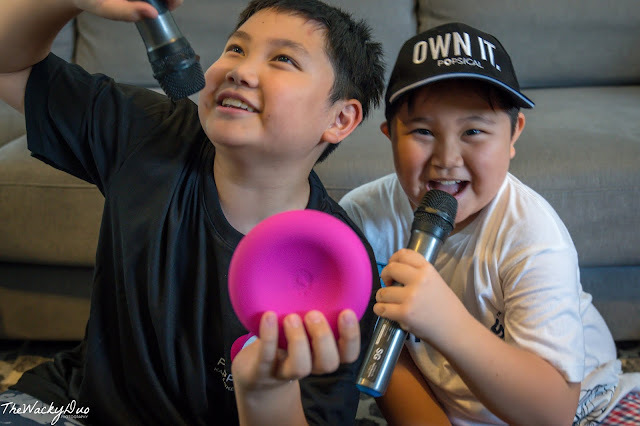 Simply plug it into the Popsical Sound, play the song, sing and press record. After that, send a copy to the record company and you could be the next Ed Sheeran or Talyor Swift. If you are worried that Popsical will charge a fee for use of the songs ( after all someone has to pay for the right to use the songs), you would be please to know that basic user will get 15 minutes of free play time per day. If you intend to practise for the singing contest, you can opt for monthly premium for S$9.99 that gives you unlimited use for the month. If you only use it occasionally for parties, opt for the S$3.99* 24 hour access. Compared to one session at the Karaoke center, this is value for money. With different plans to fit different needs and budget, Karaoke is made affordable for everyone. 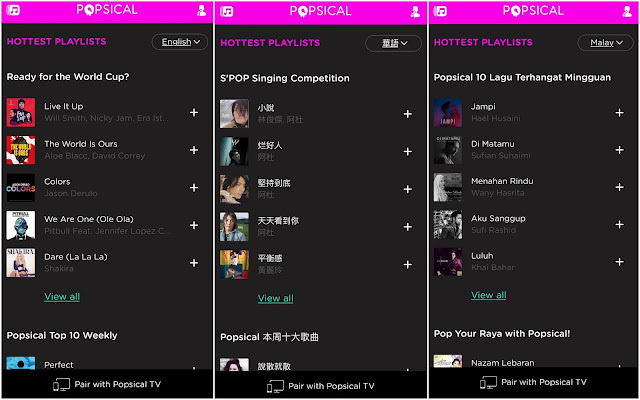 Belting out your favourite songs is now more accessible and affordable with the Popsical! Get your own Popsical here ! 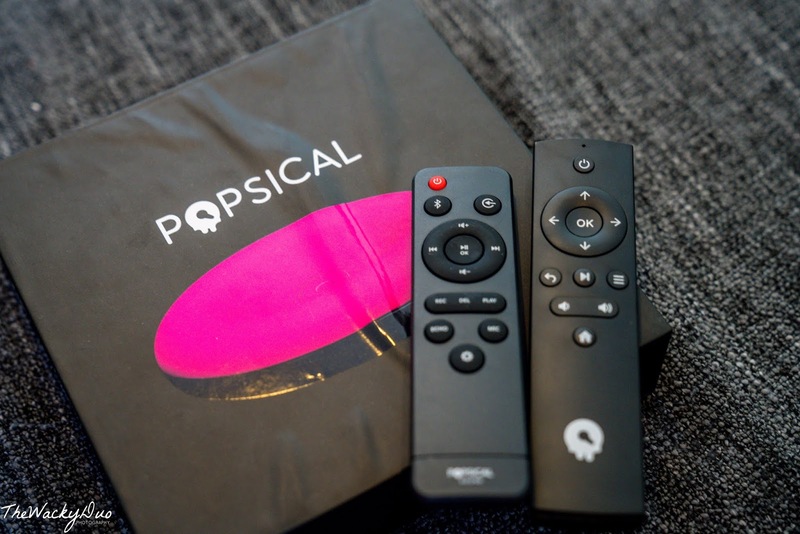 PS : It is so hot that Popsical is currently sold out. Nonetheless, you can pre-order . TWD was provided a unit for review . All opinions are of our own.